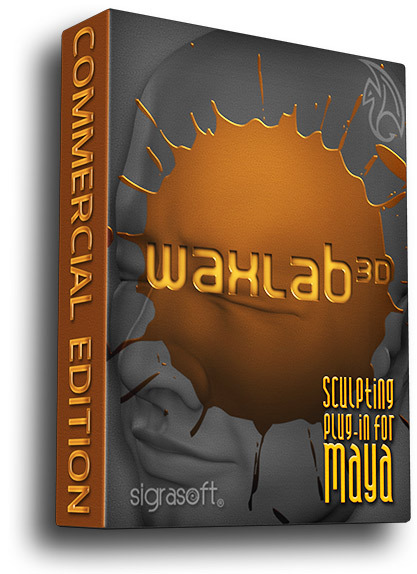 Here you can purchase one or more Single Commercial Licenses for WaxLab 3D v1 for Maya. Each Single Commercial License is locked to the activated computer, but is valid for all contained user accounts. The license is transferable to another computer, has no expiration date, is eligible for all future version 1 updates and is compatible with all variations of WaxLab 3D v1: Windows, Mac OS X, Linux, Maya 2013 – 2015 & beyond. After purchasing, the Activation code(s) will be sent to the email address supplied during the checkout process. Coming Soon. For more information email: sales@sigrasoft.com. Tax is not included with purchase, customers must remit their own tax based on their local sales tax on downloadable software.